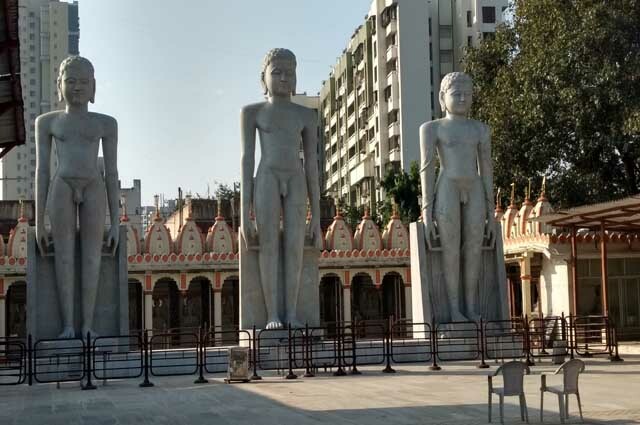 No of Temples: 02 and 01 in Boriwali(west), Pahaad/Mountain: No, Historical Importance: There is 31 feet tall idol of Lord Aadinathji on its sides there are 28 feet tall idols of Bharat Chakrawarti and Lord Bahubali on backside there are 24 altars of 24 Tirthankar. Also there are foot carvings of some famous Aacharyas. The Manstambha(sacred pillar) is about 51 feet tall below which there is Temple of Lord Chandraprabhji. There are memories of the great Aacharya shri 108 Shantisagarji maharaj, the motivate, director of this Kshetra. Northern Mediterranean Tourism (NMT) India.